Now that headsets can be purchased for less than $200, virtual reality and 360 video will become much more accessible tools — both for consumers and for enterprises that wish to put high-tech dimensional video to work. Lambert has joined the featured speaker lineup of Government Video Expo, to be held Nov. 27–29 in Washington. Lambert said that video creators are being challenged to learn new techniques. “There is no ‘behind the camera’ in 360,” he said. “It becomes a strange thing for everybody on set. You’re used to sitting behind the camera, having video villages all on one side of the camera and the subject on the other. That’s no longer the case.” Now, he said, you’re seeing everything, the whole world including cast, crew, lighting, sound, director. He said the workflows required by 360 video differ from those around traditional video. For one thing, Lambert said, VR and 360 place new demands on a creator’s storage and hardware. “I’m from the day when everyone was starting to film in HD. Well, I’m posting 8K video right now, which is four times 4K and 16 times HD. The strains and the stress on the hardware, your storage needs, are massive.” He said his current system has 128 TB of content for current projects, with another 50 backed up. “The whole VR medium itself needs the best, fastest, biggest hardware that’s available to accomplish.” It also requires newer approaches such as “proxy” workflows that are becoming more familiar to 4K producers as well. Lambert will present “Welcome to the World of VR/360!,” which is part of the “Need to Know” session series at GV Expo on Nov. 28. He is founder of VArtisans, a Richmond, Va.-based company that brings together 360 video and VR artists, programmers and cinematographers exploring new ways of immersive storytelling through major projects, art and experimental pieces. Having led the teams that created Harry Potter’s first Quidditch field and the visual development of “The Polar Express” at Sony Pictures, Lambert has been at the leading edge of visual effects technology. His team’s recent VR projects have taken them to 14 countries over 18 months. VR Bus and VR Balloon are major international, location-based entertainment projects in Dubai’s VRPark. The attractions take visitors to the streets of Rome, Paris, Tokyo, Washington, and the plains of Africa. The team’s VR Zoo undertaking involved the recording of 12 separate endangered species and development of a kiosk app to tell the conservation stories of these animals. The project filmed 360 video on land and underwater in Uganda, Tanzania, Egypt, South Africa, Maldives and Australia. 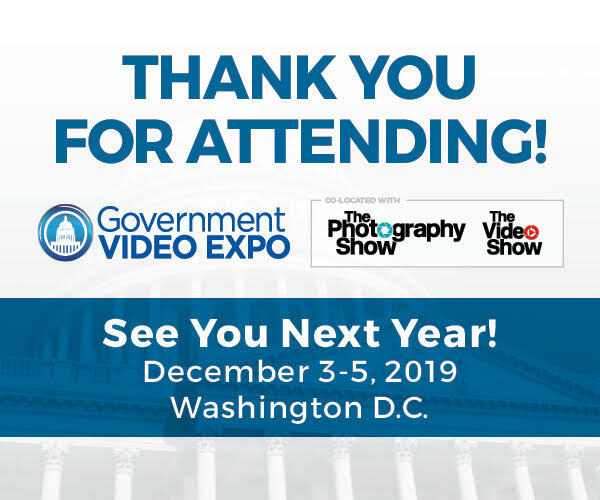 Lambert will give Government Video Expo attendees an overview of developments in the VR field, then share examples and “how he did it” stories from projects such as the VR Bus and VR Zoo; “A Letter Home,” a narrative 360 video for the PBS series “Mercy Street”; “The Killing Pits of Ponar,” an award-winning 360 film exploring a little-known story of the origins of the Nazi genocide, created with Lone Wolf Media and NOVA/PBS; and more. He also will discuss the potential for using 3D animation and VFX in 360 video. Why? Lambert will discuss the state of VR and 360 video and discuss how their workflows differ from those in traditional video. Now What? Sign up to meet and learn from Lambert and other top speakers from “PBS NewsHour,” DC Visionaries, BundlAR, Creative Media Matters and more. Lambert joins a speaker lineup at Government Video Expo that includes Judy Woodruff, anchor and managing editor of “PBS NewsHour”; Shane Yeager, CEO and Celene DiStasio, COO and creative director of DC Visionaries; John Martin, CEO of BundlAR; and Gail McCabe, executive director of CreativeMediaMatters.